I have mention many times before my love hate relationship with SLS free hair care. Shampoo has been a major stumbling block for many years. I often suffer from itching scalp and I have to avoid Orange which is a common ingredient in natural products. I tested SLS free shampoos about 9 years ago and I hated the ones I tried. In the end I stuck to a well known salon brand. I have been using it for five years because I was scared to switch. I have tested two free from conditioners since I started this blog (Organic Surge & Giovanni). The Giovanni 50/50 quickly became a firm favourite and I have been repurchasing it ever since. Recently I have experienced an itchy neck. The irritation has been making me feel miserable so I took the plunge and purchased an SLS free shampoo. As I had success with the Organic Surge Moisture Boost Conditioner I decided to try the matching Shampoo. It only costs £5.10 for 250ml not much money to lose if I hated it. You have to persevere with SLS free shampoo. It takes a number of washes before you feel the results because you need to purge your hair from synthetic ingredients. I can honestly say I think after the fifth wash I finally thought WOW I love the results. My hair feels clean, shiny and soft. I have continued to use my Giovanni conditioner in conjunction with this shampoo. I do find I need to double wash unlike my old shampoo which means I am using up the tube quicker. The lather that you get is by far the best I have seen for an SLS free shampoo. I know the bubbles are not important for cleaning hair but I do find I need them for guidance (if that makes sense). It reassures you the product is being distributed evenly. I have been using this for four weeks and the irritation I experienced prior to using this shampoo has faded away. Organic Surge products are 100% free from parabens, SLS , artificial colourants and fragrances and Organic Surge is against animal testing. It does contain preservatives (full ingredients list below). You can purchase direct from Organic Surge website or I bought mine from Lush Duck who offer free standard delivery. I use these too. I couldnt bear the itchy next and head any longert so ive banned SLS shampoos. I love this one and the Bodyshop Rainfroest range is amazing too. I've had my eye on the phyto haircare, interesting that you don't get on with it. 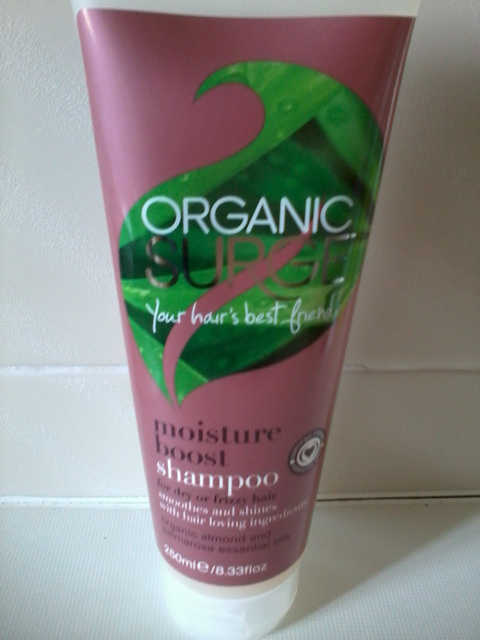 I manage to get My Mum to give these a try and she love the blonde shampoo from Organic Surge. Although the name of this detergent is pretty similar to sodium laureth sulfate, sodium coco sulfate appears safer than SLS in terms of carcinogenic by products. Unlike SLS, sodium coco sulfate does not lead to the formation of the carcinogen 1,4-dioxane as SLS can. Sodium coco sulfate is derived from coconuts, and is commonly used in toiletries marketed as "natural" or "SLS-free."